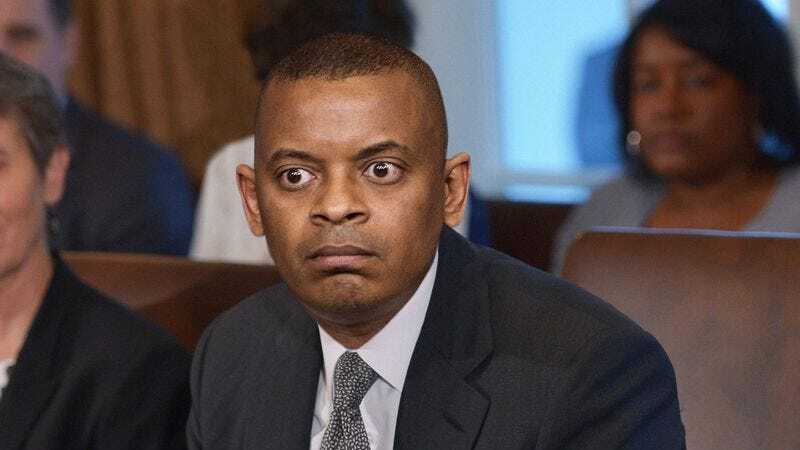 WASHINGTON—Wondering what would become of the nation’s airports, roadways, and harbors, Transportation Secretary Anthony Foxx reportedly became consumed with fear Tuesday that the American populace might suddenly decide not to travel anywhere ever again. “What if everyone stops commuting to work or booking vacations and just stays put for good?” said Foxx, growing visibly panicked in spite of fellow cabinet members’ assurances that cars, boats, trains, and planes were essential to American society and that modern life could not continue without them. “What if everyone collectively decides they don’t like taking trips anymore? What if people never leave the same spot? Oh, God, what would I do then?” At press time, Foxx reportedly breathed a deep sigh of relief after hearing the sound of a tractor-trailer passing by outside.